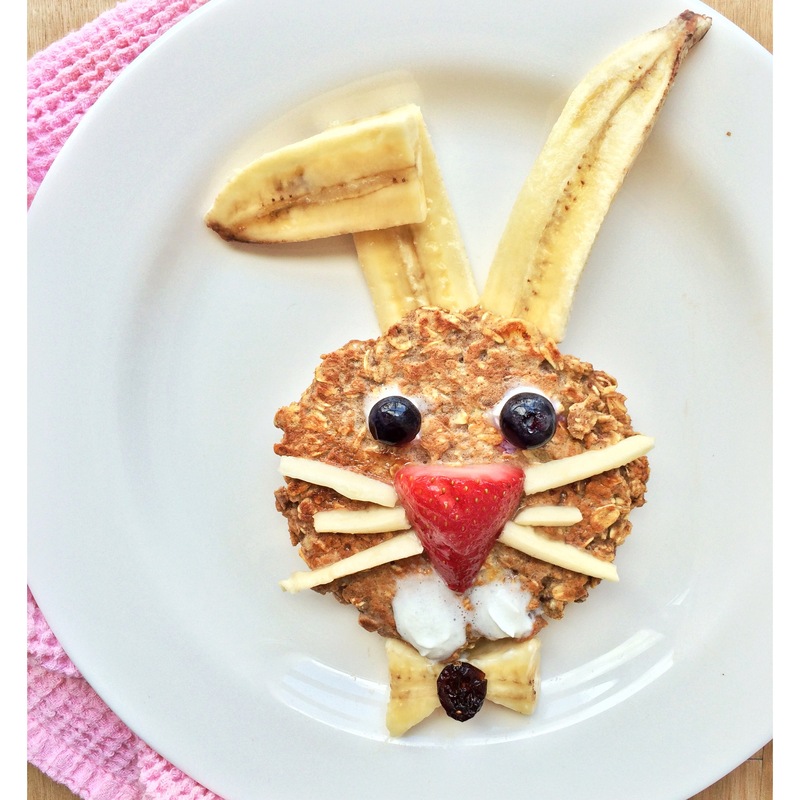 Time to get cracking and make this cute Easter breakfast! A 4-ingredient white chocolate oatmeal pancake plus some fruit and you have egg- actly what you need for a hopping Easter Sunday morning. The kids will LOVE this fun and healthy breakfast surprise. I wish you all a safe, loving and delicious Easter with family and friends! Heat up a frying pan on medium heat for a few minutes. Meanwhile, in a small cereal bowl, mix together oats, egg, cinnamon and coconutter until combined. Spoon to make one large pancake and cook for 2-3 minutes on each side until done. With a banana, some berries and whipped creme, feel free to jazz up your white chocolate oatmeal pancake for Easter morning! Bon appétit! This is adorable! I see this being made for my kids in the morning. Thanks so much for the inspiration!